What began with a home-made radio, became a multi-billion dollar industry. Henry Samueli is more than the namesake of our school. Student. Teacher. Inventor. Entrepreneur. His life story provides a shining example of everything a career in engineering can mean. The son of Jewish immigrant parents, Samueli grew up in Los Angeles and spent much of his free time as a child helping out in his parents’ modest liquor store. A pivotal moment arrived in a 7th grade shop class. He would go on to figure out how the radio worked and much more, revolutionizing radio communications along the way. Following high school, Samueli attended UCLA’s School of Engineering, where he earned bachelor’s, master’s and Ph.D. degrees. After a stint in the defense industry, Samueli came back to UCLA, this time to teach. His position at UCLA also allowed him to pursue his passion for research in broadband communications circuits and digital signal processing. Breakthroughs in this research eventually led Samueli, and one of his Ph.D. Students, Henry Nicholas, to found Broadcom Corporation in 1991. The company grew rapidly and today, following a merger with Avago Technologies in 2016, generates $18 billion in annual revenue. Broadcom’s success has provided Samueli the opportunity to support many nonprofit organizations. Since the company’s initial public offering in 1998, the nonprofit foundation run by Samueli and his wife Susan has granted over $500 million in gifts in the areas of education, health, social services, and the arts. Samueli maintains his position as a UCLA faculty member, though on leave. And he maintains his interest in the next generation of students, and inventors. 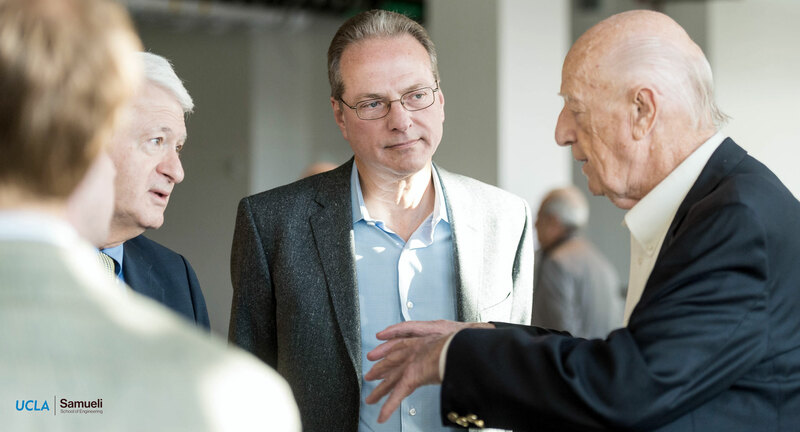 Recognition: The University of California awarded Samueli the Presidential Medal, the IEEE Circuits and Systems Society Industrial Pioneer Award, and the UCLA School of Engineering and Applied Science Alumnus of the Year Award. Named Fellow of the Institute of Electrical and Electronics Engineers (IEEE) in 2000, a member of the National Academy of Engineering in 2003, and a Fellow of the American Academy of Arts and Sciences in 2004. Dr. Samueli serves on the UC President’s Board on Science and Innovation, is Chair of the UCLA Chancellor’s Competitiveness Council and serves on the Dean’s Executive Board at UCLA Samueli.